The life of mobsters with the surname Soprano has become the theme of extremely popular TV series in the USA. Now all gamblers can try The Sopranos free slot play at any time they want. This branded Playtech video slot has 5 reels and 25 paylines together with multiple bonus features and the jackpot in 3 000 coins. Everyone, who wants to try The Sopranos slot in the free mode, can write ‘Playtech play demo slots online’ and look for it among them. In general, The Sopranos game is great to play both for money and for free. In case you’re looking for the Sopranos casino slot in real-money mode type ‘playtech slots Paysafecard’ to find a list of reliable Playtech casinos that accept Paysafe deposits. This exact payment option will allow you to deposit money really fast and enjoy playing this or other Playtech slots for real cash. In general, The Sopranos game is great to play both for money and for free. 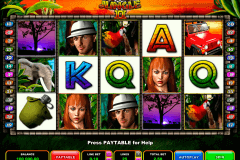 The Wild symbol is the image of Tony Soprano, which performs also functions of the jackpot icon. There is also the random Raid Bonus round, which you can play during the main game. Your task then will be to hide 4 envelopes with money in 4 hideouts and get the 2x multiplier of the total bet for every successfully hidden envelope. You can also win instant coin prizes in the Stole Goods Bonus of The Sopranos online slot. Two Box symbols on reels 1 and 5 will activate it and will be able to choose 3 out of 10 containers for prizes. Another interesting feature is the Bada Bing Bonus, which activate three Bada Bing symbols. Your task will be to choose, which of 5 characters will meet Tony and get your prize for this. The Sopranos belongs to very exciting free spin slots due to its Crime Family Free Games feature with 4 modes. To benefit from it players should get three+ Scatter Game Logo. 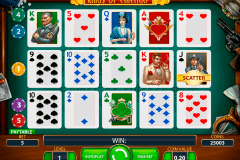 The first will be the Soldier Free Games (25 free spins and Christopher as the Extra Wild). Other modes are: Capo Free Games (20 free spins and the increasing random multiplier from 2x to 5x); Boss Free Games (10 free spins with 2 to 5 random Extra Wilds) and Family Free Games (10 free games and the Wild Boss symbol, which doubles all wins). 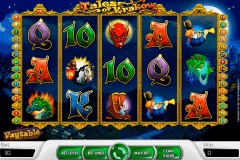 These free slot machines no download bonus rounds are very lucrative and exciting to play. 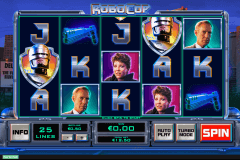 Play free casino video slots from Playtech, such as The Sopranos game, if you want to get the entertaining and fun gambling experience. On the reels of this casino slot you will see 6 members of the Sopranos family (Tony, Artie, Bobby, Christopher, Pauline and Johnny), some special bonus symbols and card icons from A to 10. The Sopranos slot is the amazing game from the Playtech provider and it deserves your attention.